Later this month, New England Aquarium President and CEO Bud Ris will be attending a meeting of the Phoenix Islands Protected Area (PIPA) Trust in Tarawa, Kiribati. He will be accompanied by Conservation Projects Coordinator Regen Jamieson. In this post, Regen gives some background on the Aquarium's involvement in PIPA, one of the largest marine protected areas in the world. So why does a Boston aquarium work in the Pacific? Commuting to my job at the aquarium today I was thinking about this question. If you are a diver or a scientist it is obvious why you would want to go to place like the Phoenix Islands--they are beyond imagination and still virtually unknown to Western science. 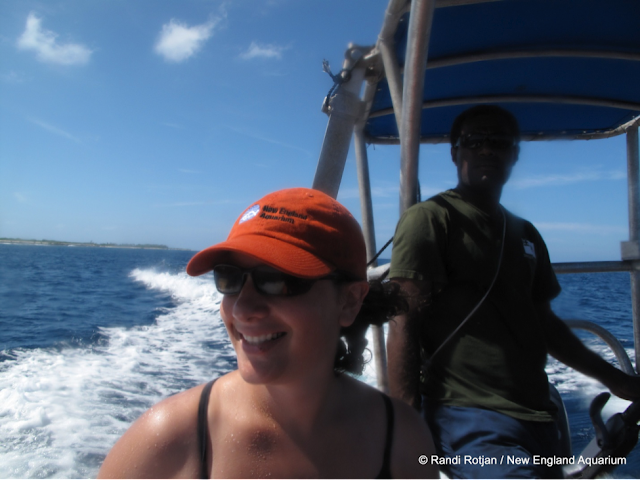 And if you have followed this blog over the past few years you will have read about Dr. Randi Rotjan and colleagues as they set off on a research expedition to the Phoenix Islands in 2009. My work is not as glamorous or exciting as Randi and our Global Explorers who dive into the most remote and beautiful corners of the oceans. It is a lot of meeting rooms and conference centers. 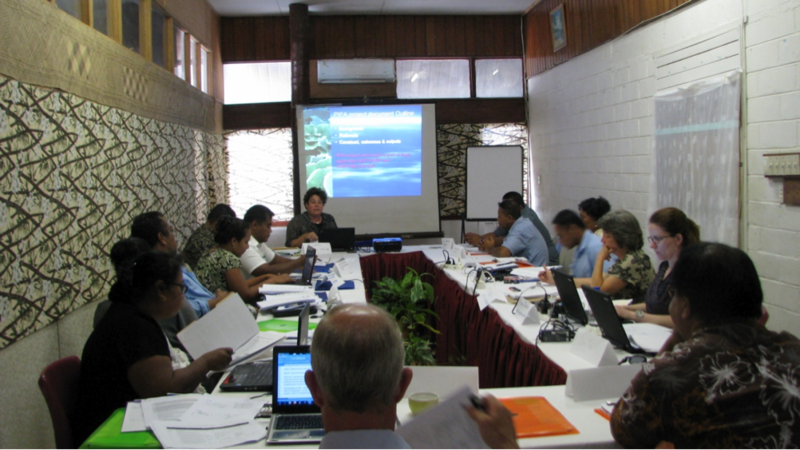 This is my typical work in Kiribati (at right with glasses on). This is Randi’s typical work day in Kiribati. However, I am privileged to be a part of the globally significant conservation work on marine protected areas (MPAs) that our Boston institution is involved in. I represent the Aquarium in our partnership with Kiribati and Conservation International on the policy and administration side of our work on this Very Large Marine Protected Area (VLMPA), as these giant managed ocean areas have recently been coined. 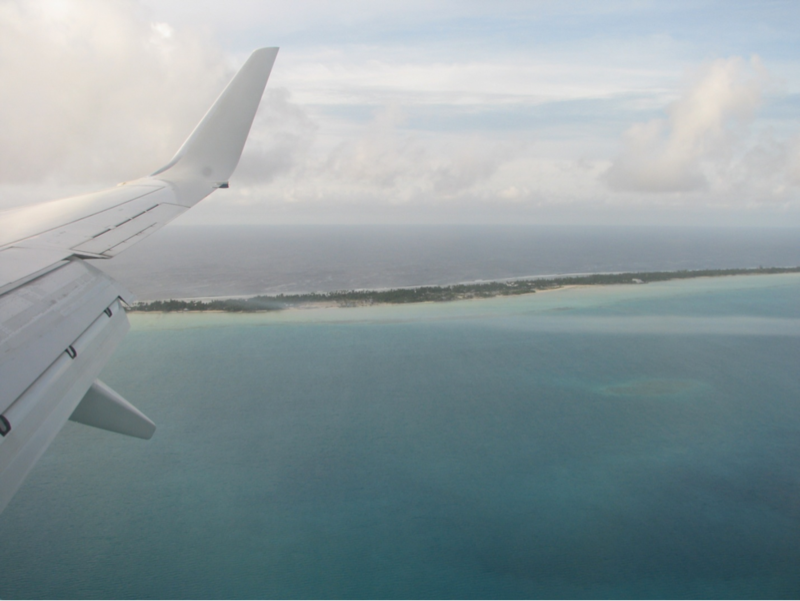 Next week I will be traveling to the capital of Kiribati, to the island of Tarawa. It will be my third trip to Tarawa in two years. This time, I am heading there for the third annual Phoenix Islands Protected Area Conservation Trust board of directors meeting. Bud Ris, New England Aquarium President and CEO, and PIPA Trust board member, and I will be making the trek together. For all intents and purposes, the trip takes three days. To get there we stop in Boston, Los Angeles, Auckland New Zealand, stay overnight in Nadi Fiji and finally arrive in Tarawa. Over the next two weeks Bud and I will be blogging to you on our work and experiences, on MPAs, the PIPA Trust, the New England Aquarium’s role in the Trust, and more. I hope to help answer this question for those of you who might have pondered of why we work internationally. And we also want to share with you a glimpse of everyday life on an atoll island, in a truly ocean nation whose very existence is under threat by climate change.